IEEE/ASME Transactions on Mechatronics, 18 (3), pp. 1060–1071, 2013, (DOI: 10.1109/TMECH.2012.2194161). IEEE Transactions on Nanotechnology, 12 (2), pp. 137–145, 2013.
Review of Scientific Instruments, 84 (2), pp. 023705 (8pp), 2013, (DOI: 10.1063/1.4790474). Micro and Nano Letters, 7 (4), pp. 309–313, 2012, (DOI: 10.1049/mnl.2011.0477). Review of Scientific Instruments, 83 (12), pp. 121101, 2012, (Accepted for publication). IEEE Transactions on Control Systems Technology, 18 (5), pp. 1172–1179, 2010. Nanotechnology, 21 , 2010, (365503 (4pp)). 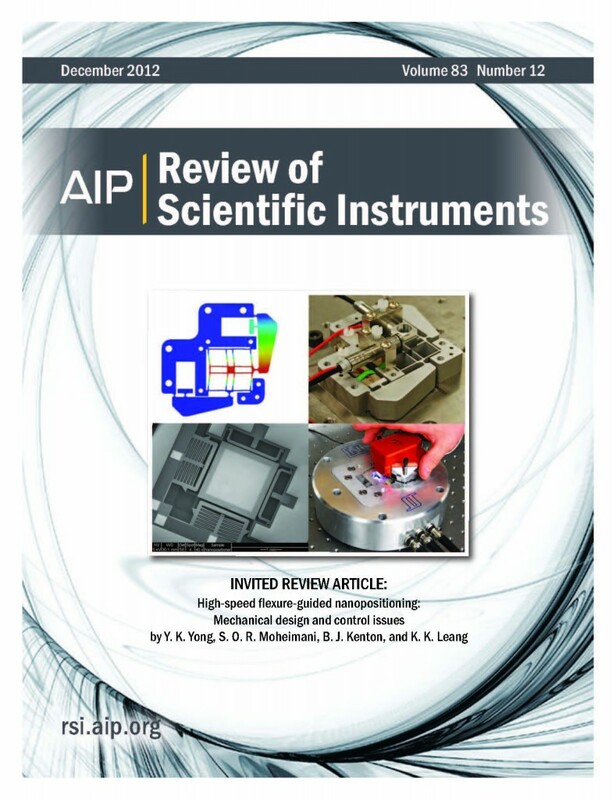 Review of Scientific Instruments, 81 (3), pp. 033701, 2010. IEEE Transactions on Nanotechnology, 8 (1), pp. 46–54, 2009.
Review of Scientific Instruments, 79 (7), 2008, (Article Number: 073702). IEEE-ICM International Conference on Mechatronics, Gippsland, Australia, 2017. Proc. American Control Conference, pp. 3811–3816, Montreal, Canada, 2012. Proc. IEEE International Conference on Robotics and Automation,, Saint Paul, Minnesota, USA, 2012. Proc. 37th Annual Conference of the IEEE Industrial Electronics Society (IECON 2011), pp. 50–55, 2011. Proc. IEEE/ASME International Conference on Advanced Intelligent Mechatronics, pp. 646–651, Budapest, Hungary, 2011. Proc. IEEE/ASME International Conference on Advanced Intelligent Mechatronics, Budapest, Hungary, 2011. Proc. IFAC World Congress, Milan, Itay, 2011. Proc. IEEE/ASME International Conference on Advanced Intelligent Mechatronics, pp. 225 – 230, Montreal, Canada, 2010. Proc. American Control Conference, pp. 4957 – 4962, Baltimore, MD, USA, 2010. Proc. IEEE/ASME International Conference on Advanced Intelligent Mechatronics, pp. 1070 - 1075, 2009. Proc. American Control Conference, pp. 2249 – 2253, St. Louis, Missouri, USA, 2009. Proc. IEEE/ASME International Conference on Advanced Intelligent Mechatronics, pp. 451 – 456, Xian, China, 2008, (To appear). Proc. International Conference on Adaptive Structures and Technologies, Ascona, Switzerland, 2008, (To appear).